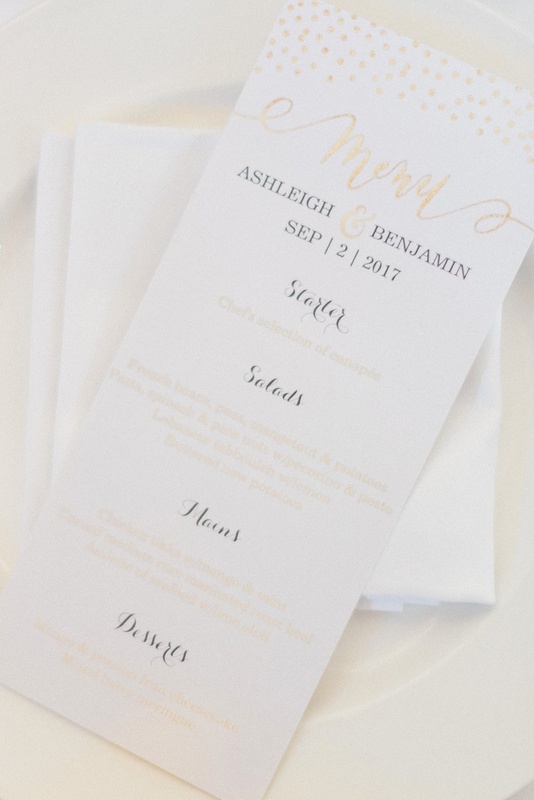 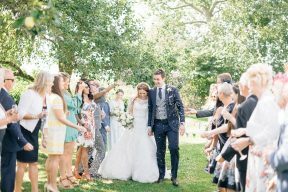 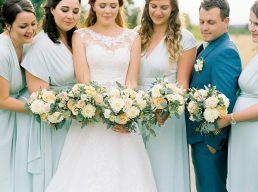 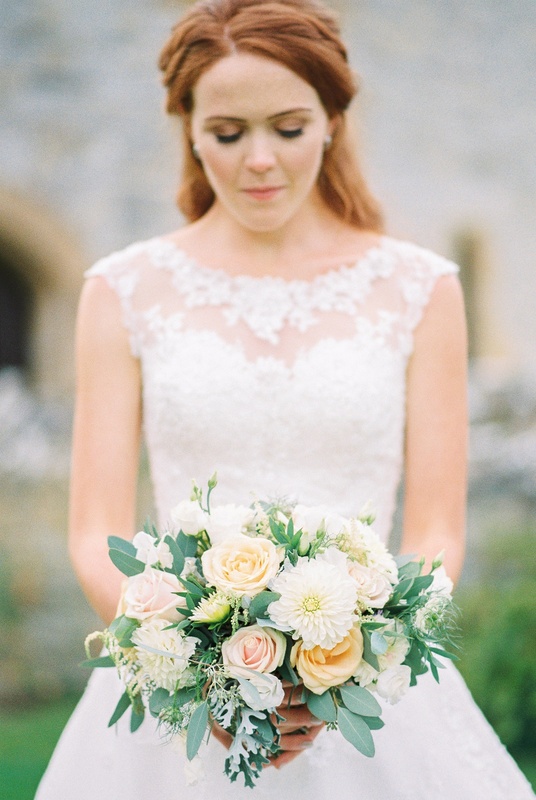 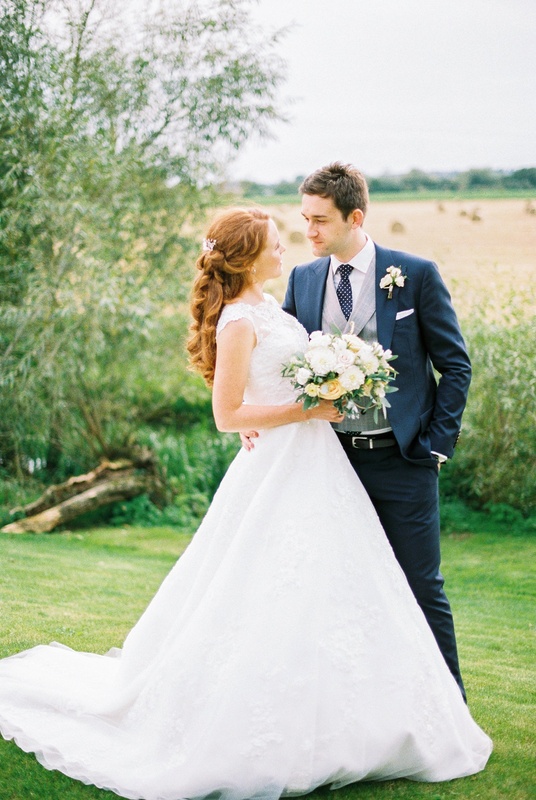 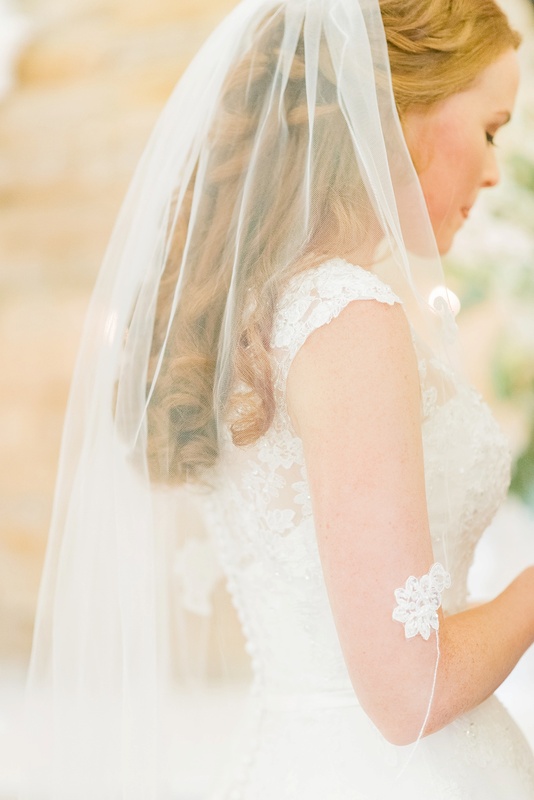 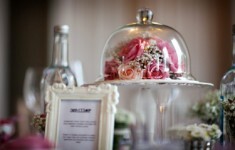 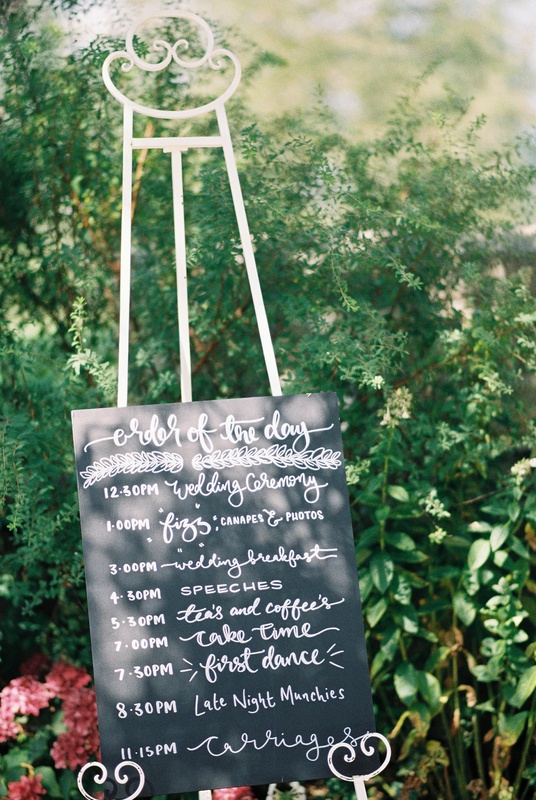 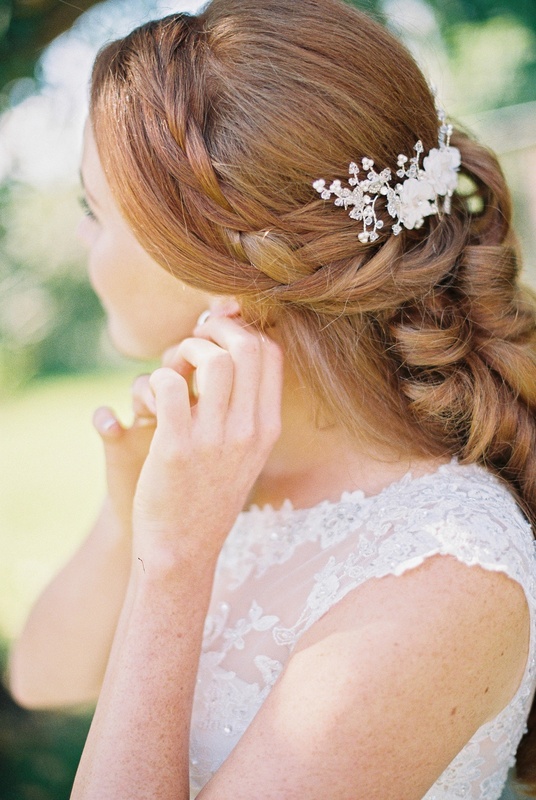 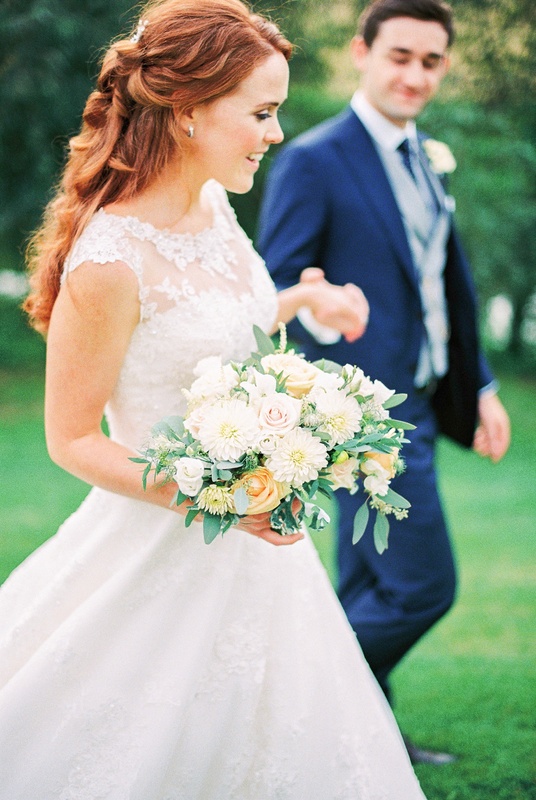 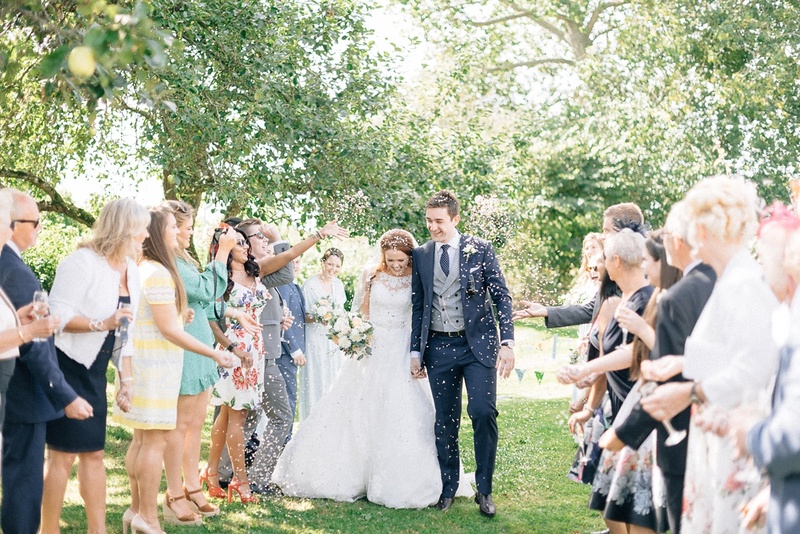 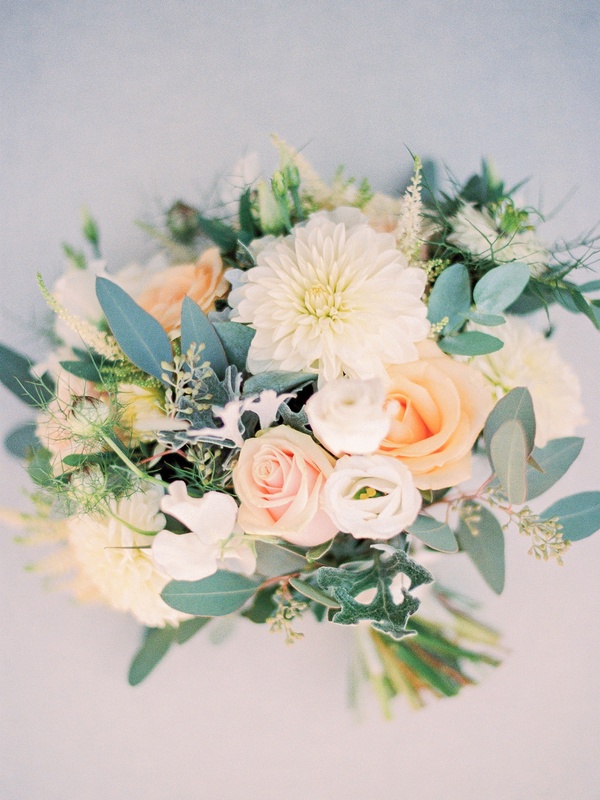 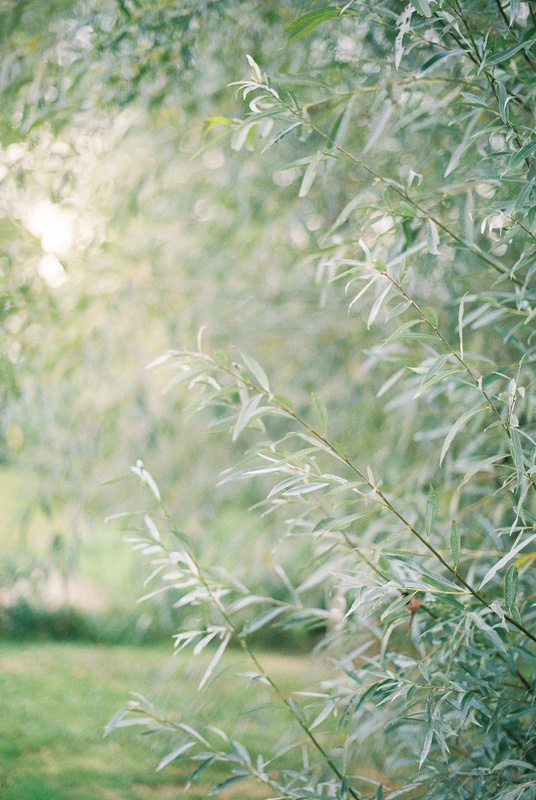 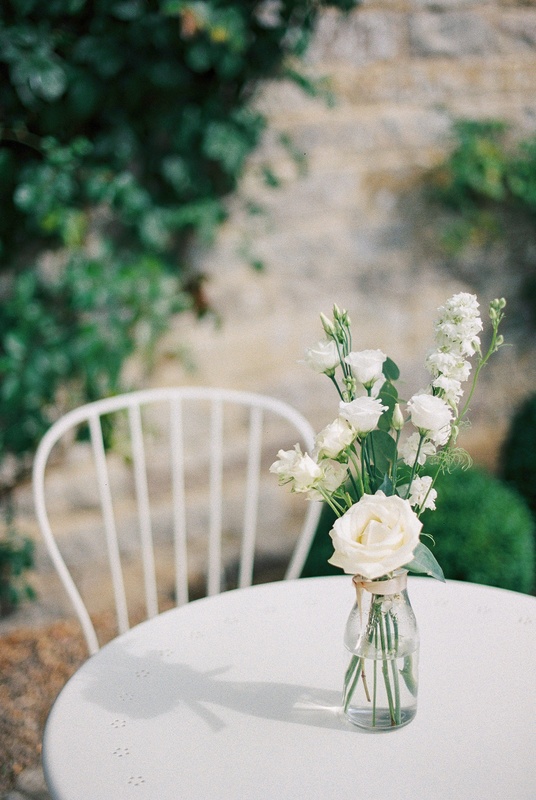 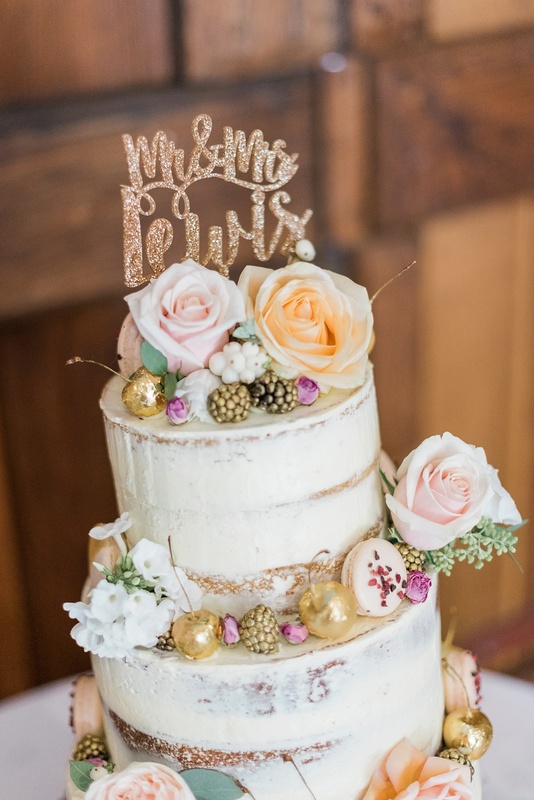 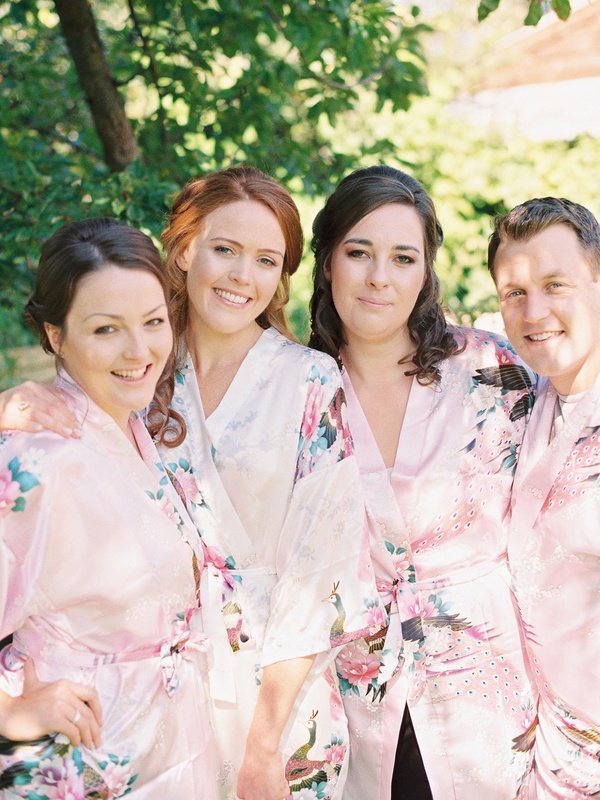 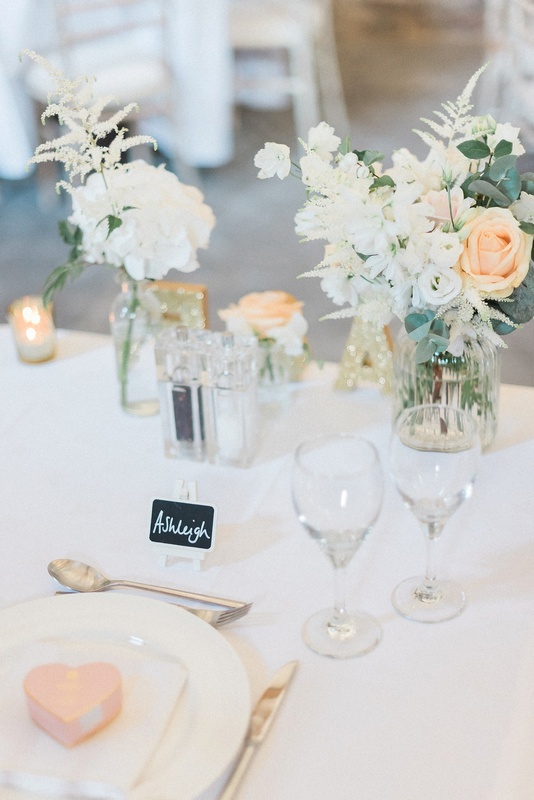 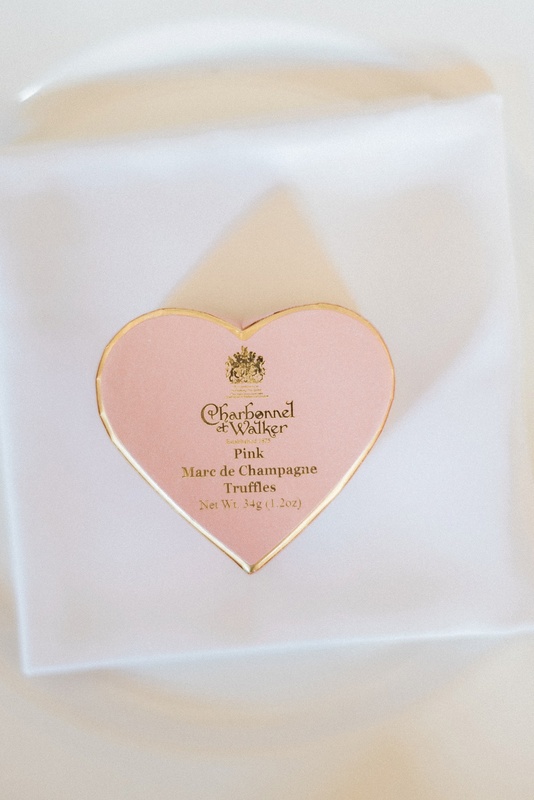 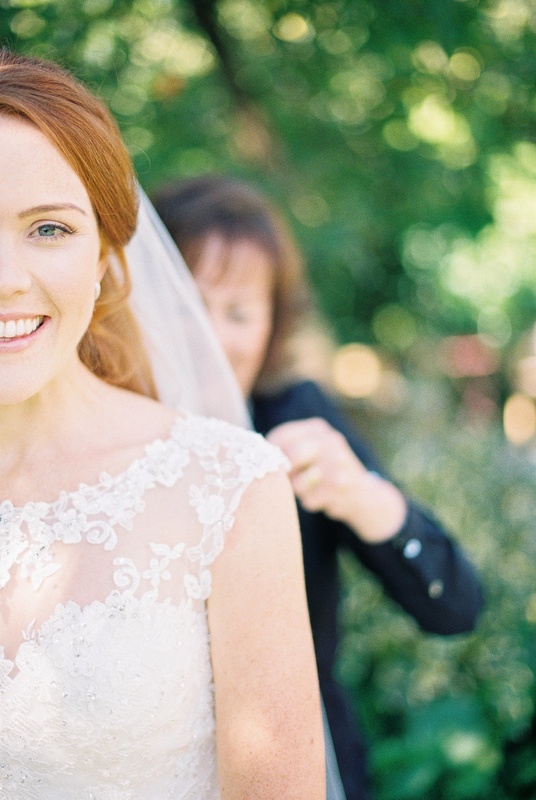 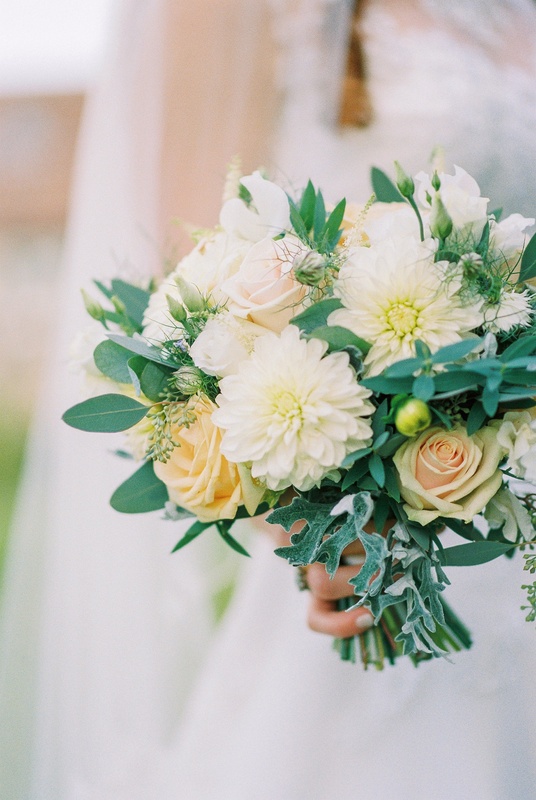 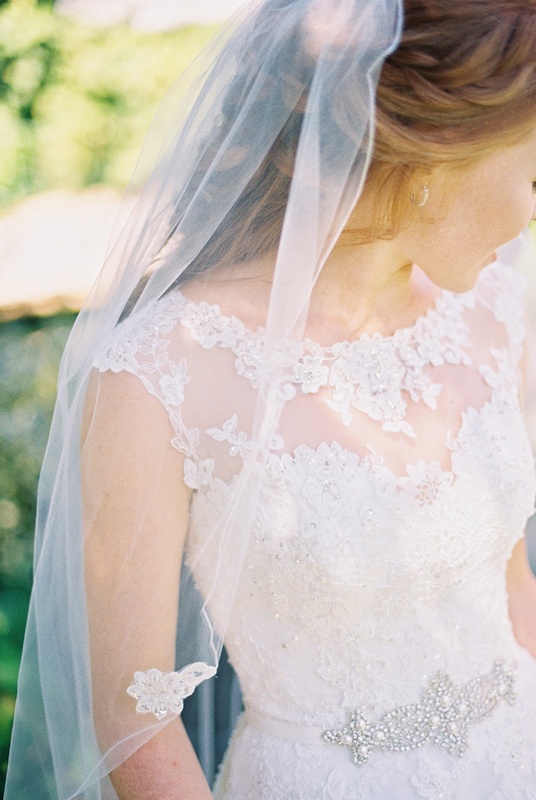 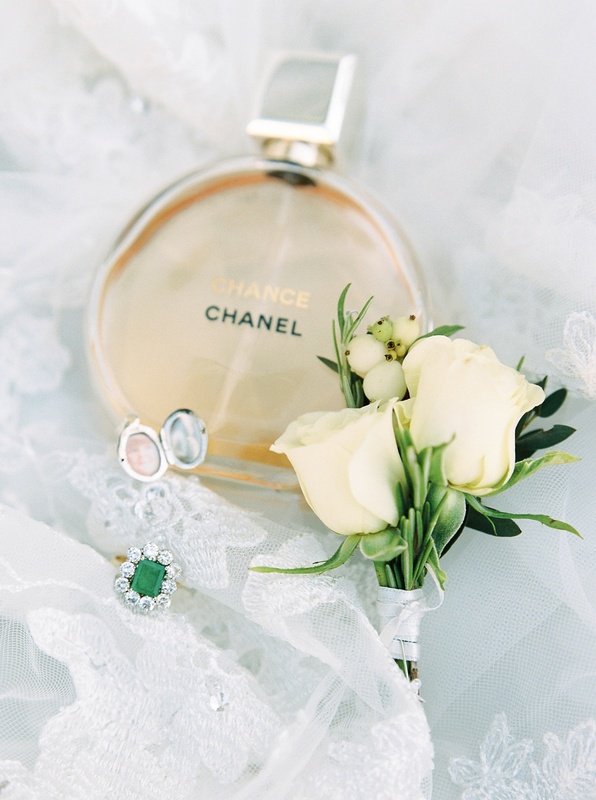 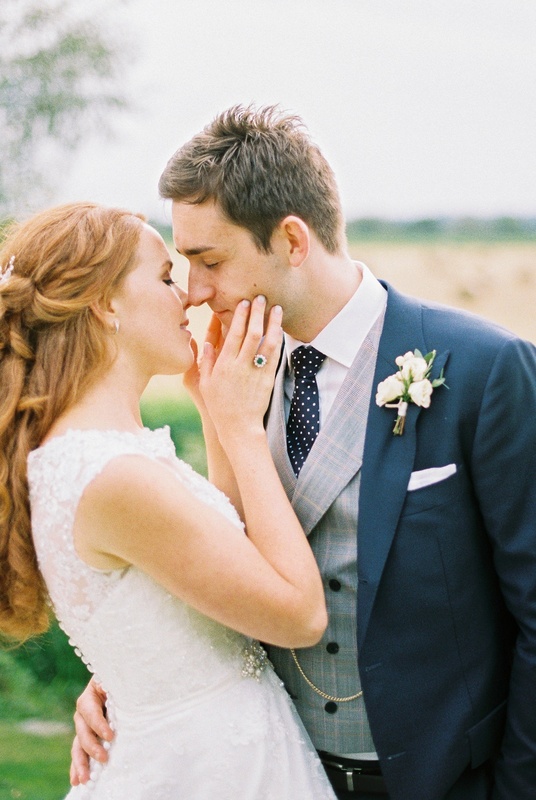 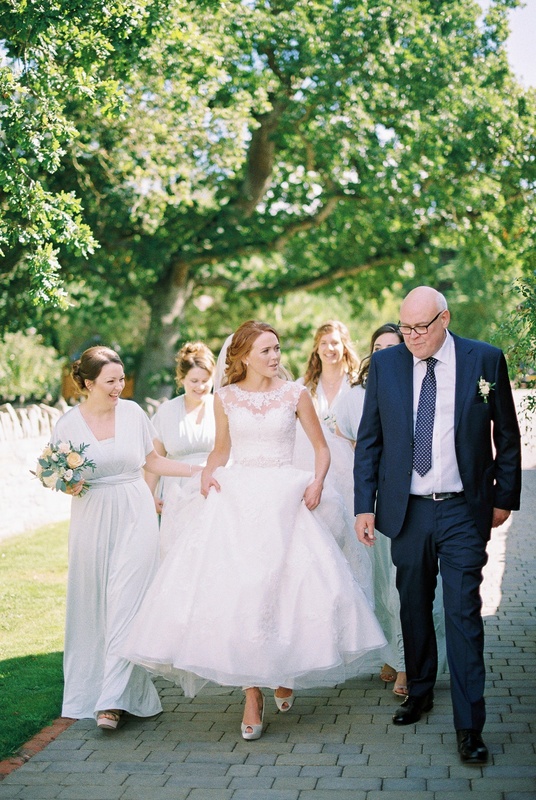 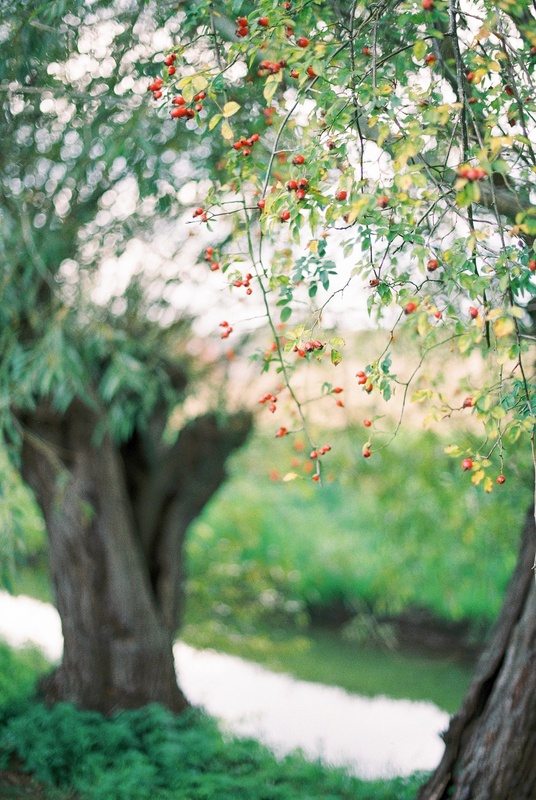 Ashleigh + Ben’s beautiful wedding day has so many lovely things to inspire. 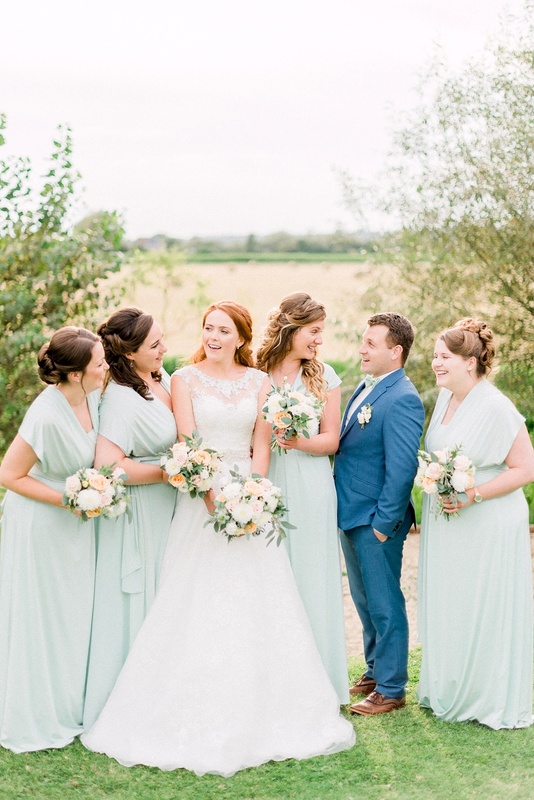 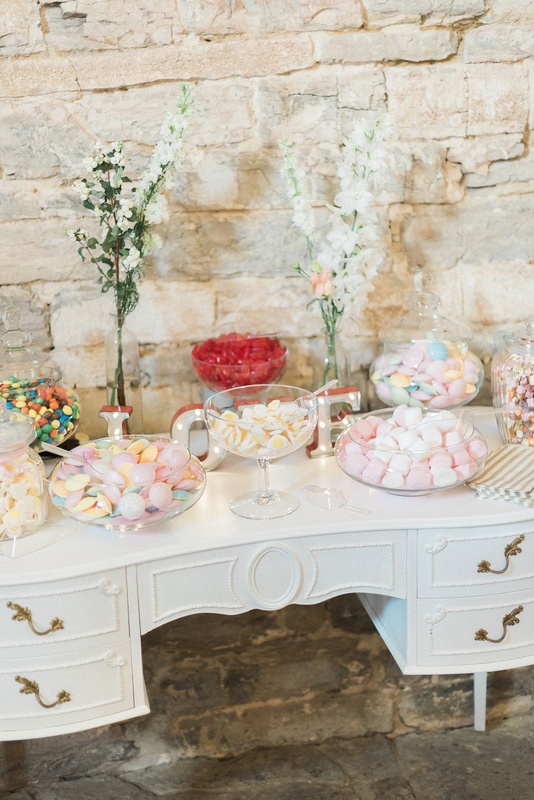 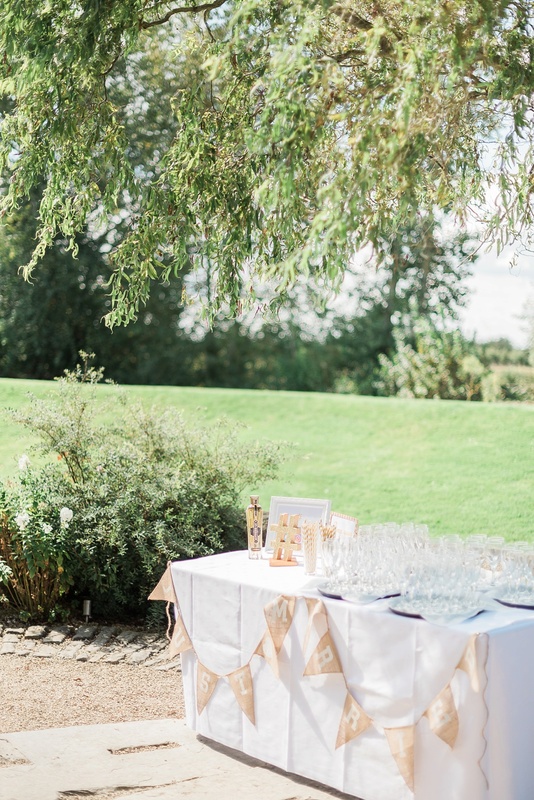 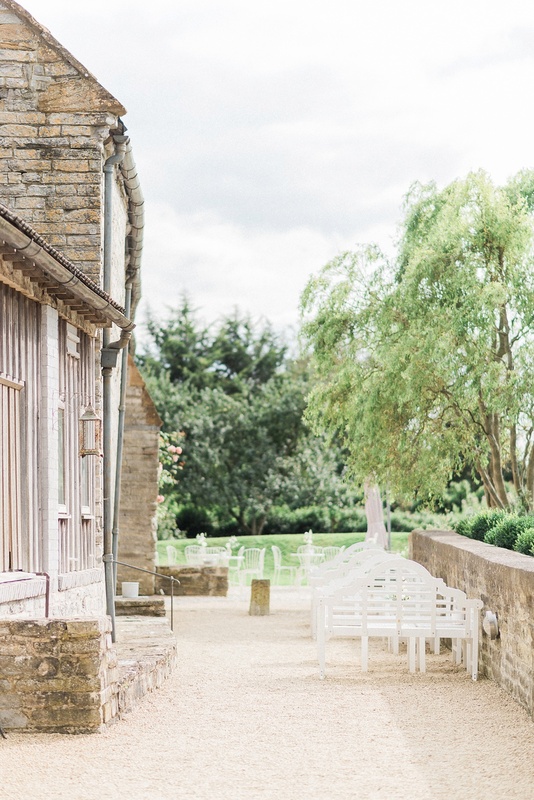 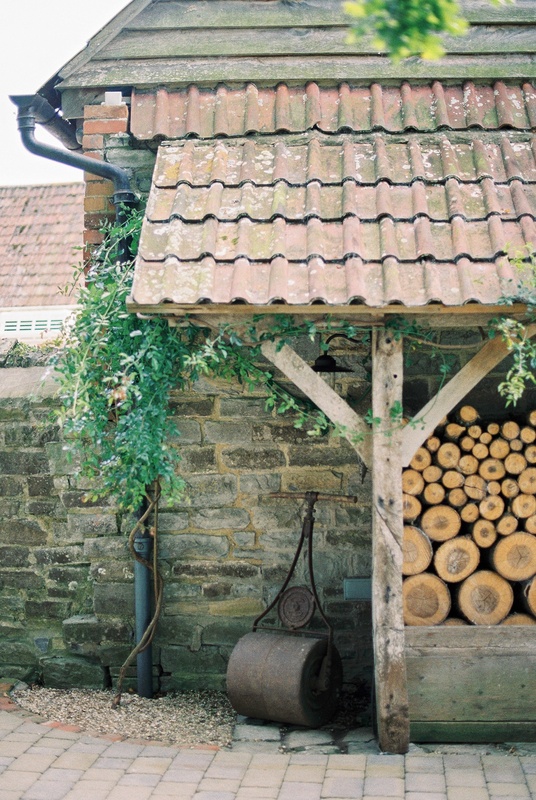 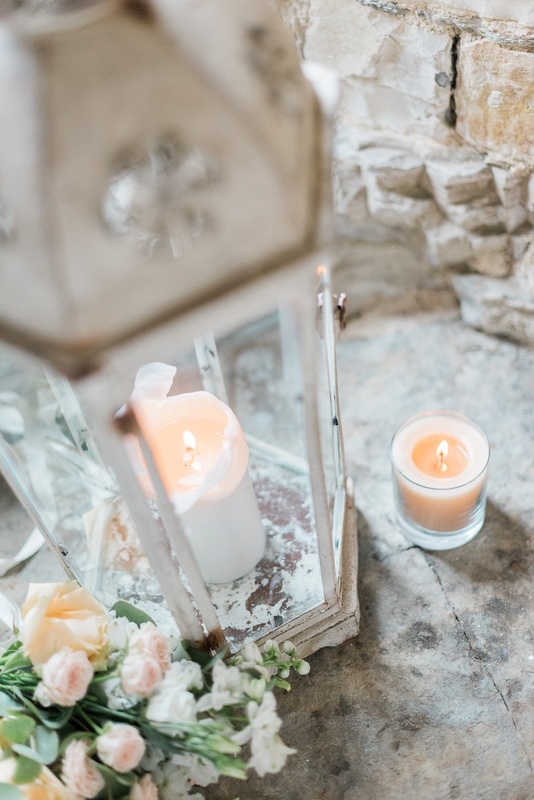 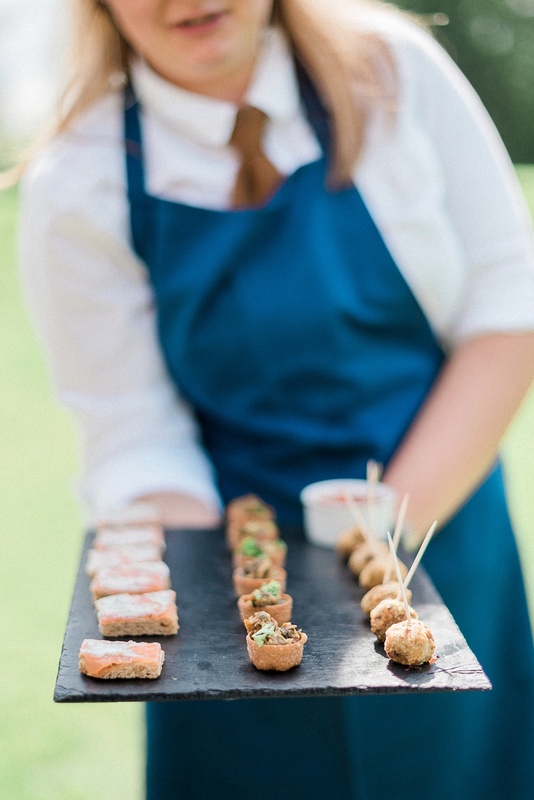 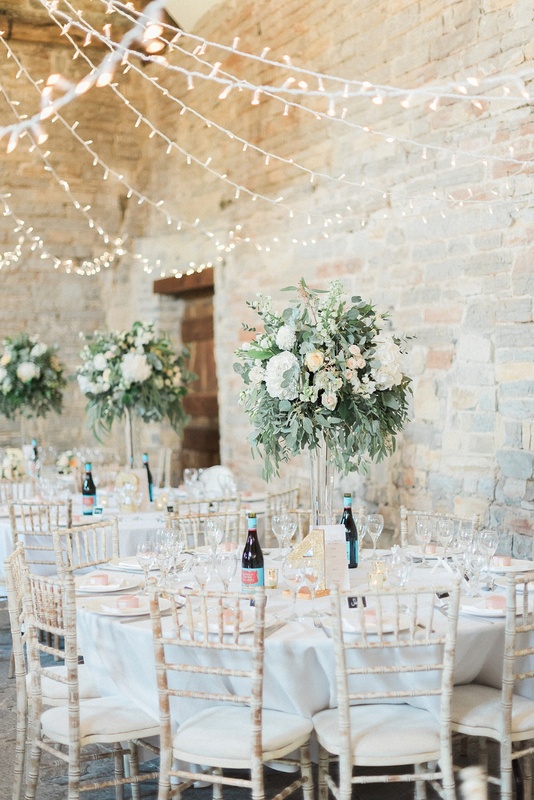 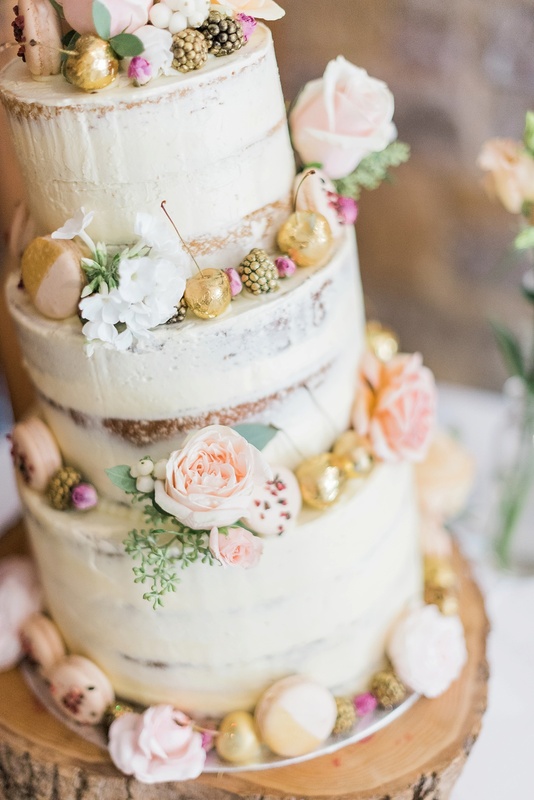 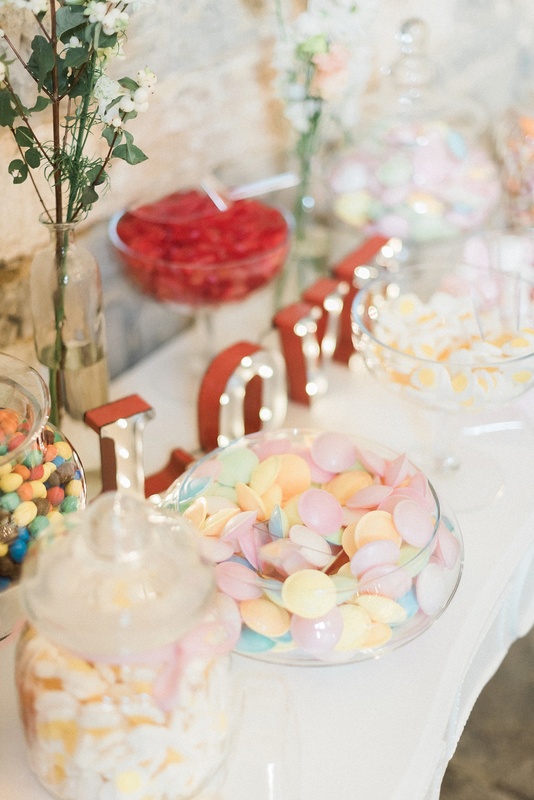 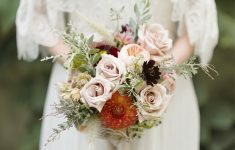 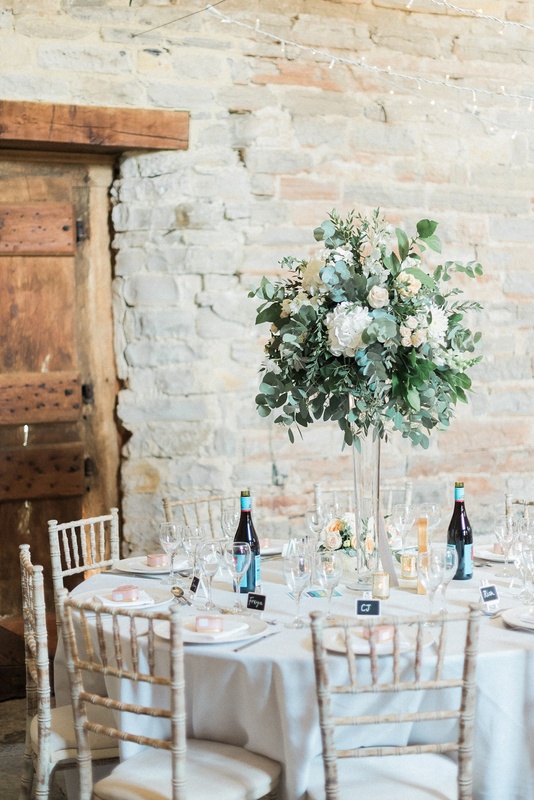 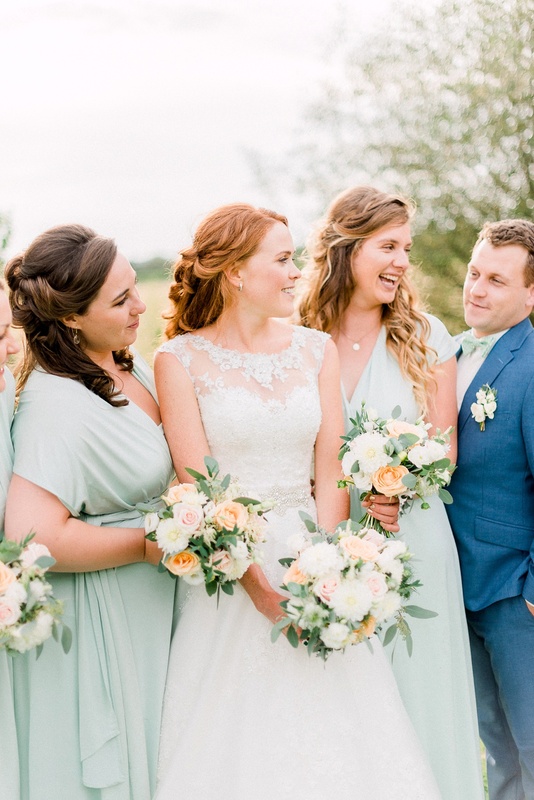 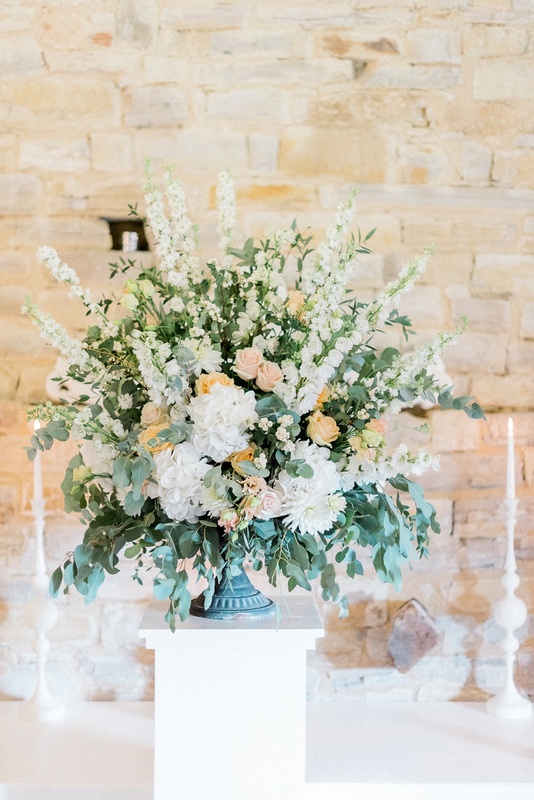 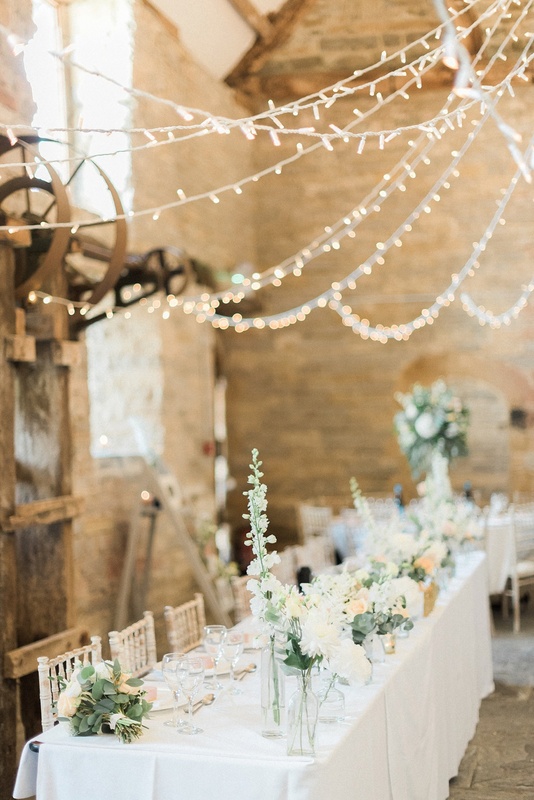 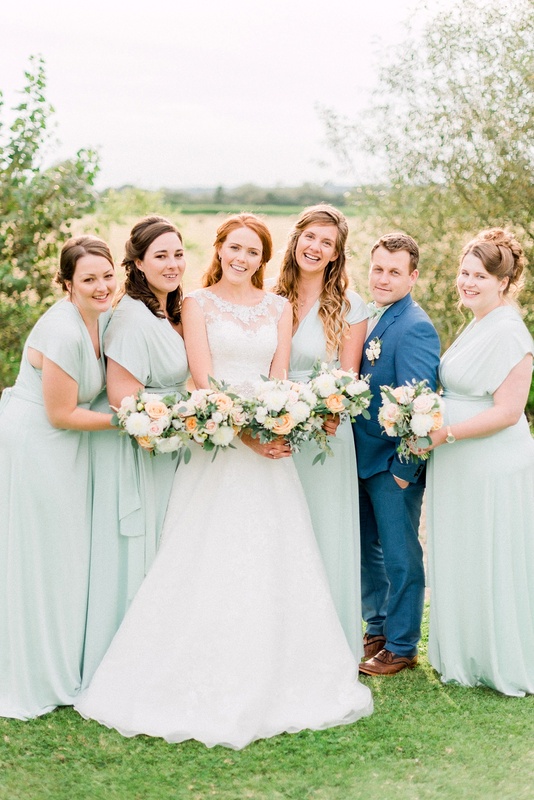 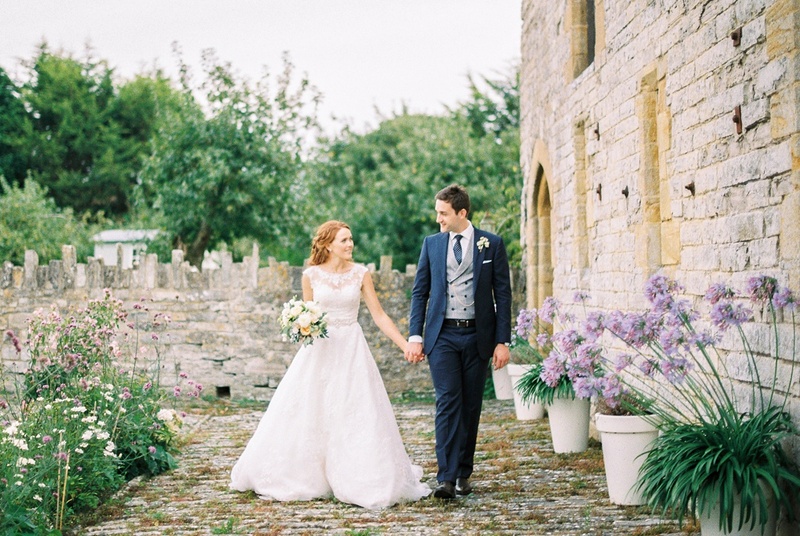 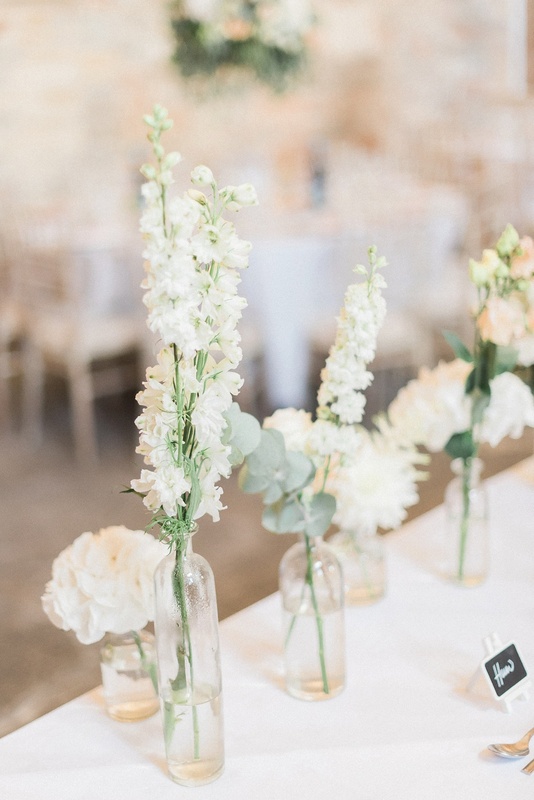 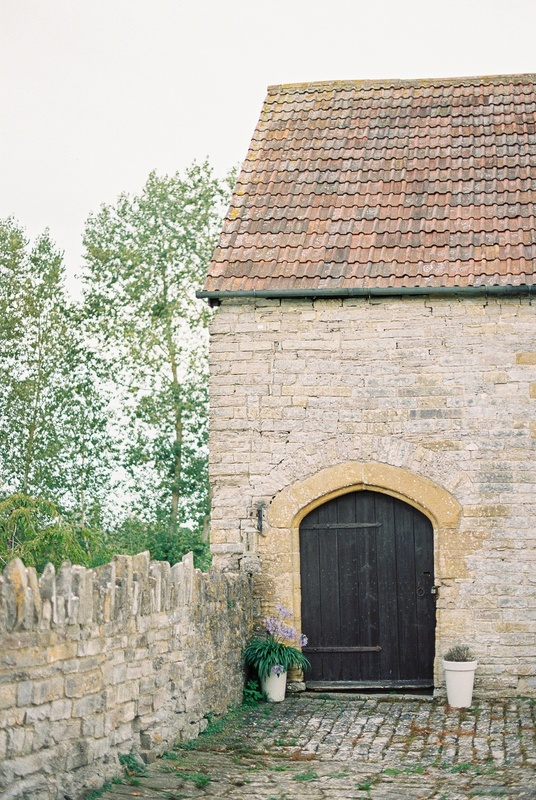 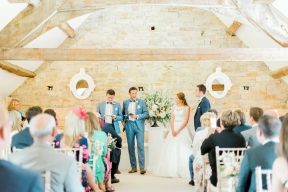 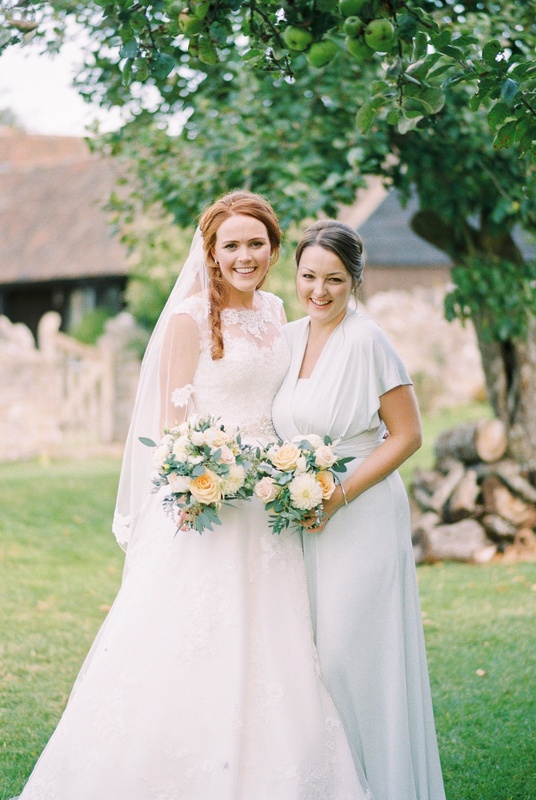 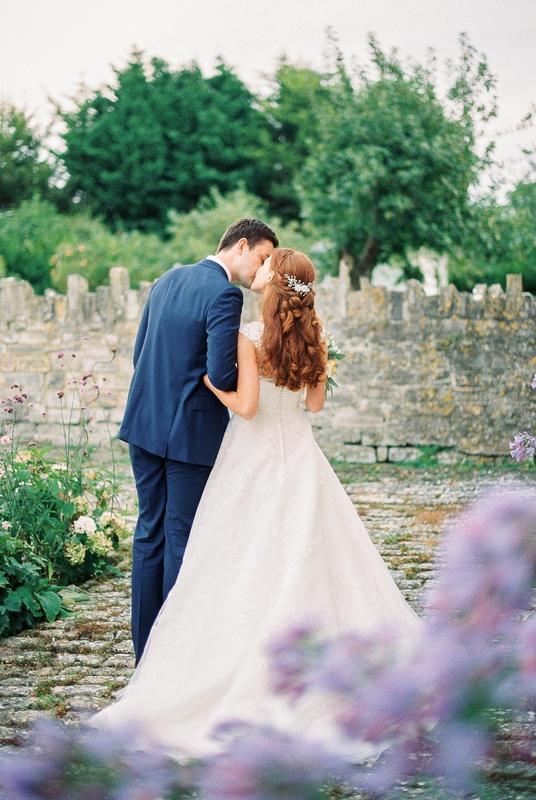 If you’re dreaming of a sweet countryside wedding with wonderful scenery and a barn venue, then you’ll love today’s wedding at Almonry Barn – one of the prettiest barn wedding venues, based in lovely Somerset. 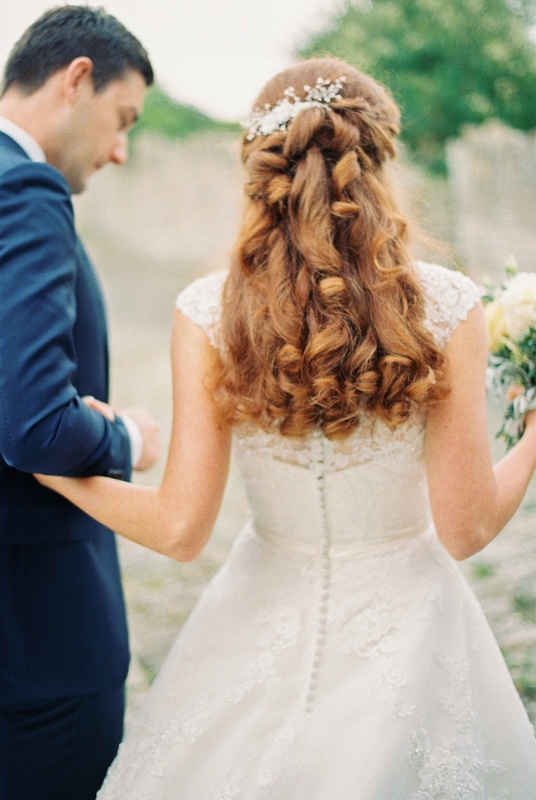 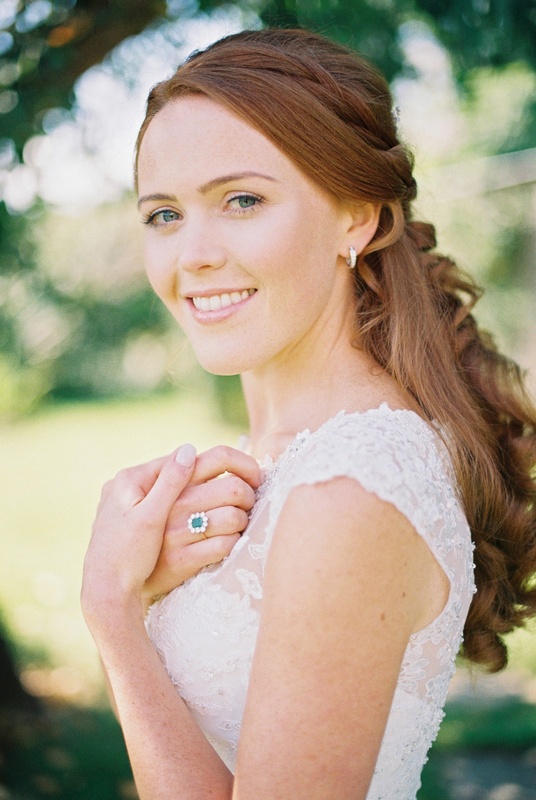 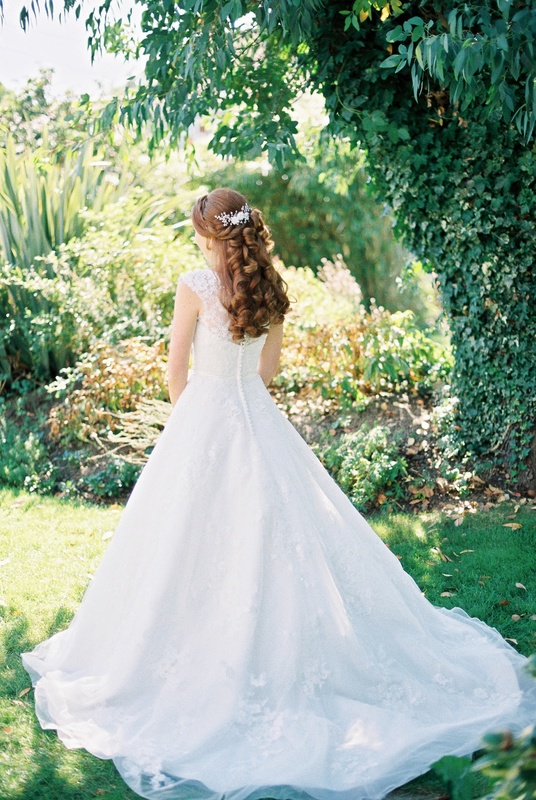 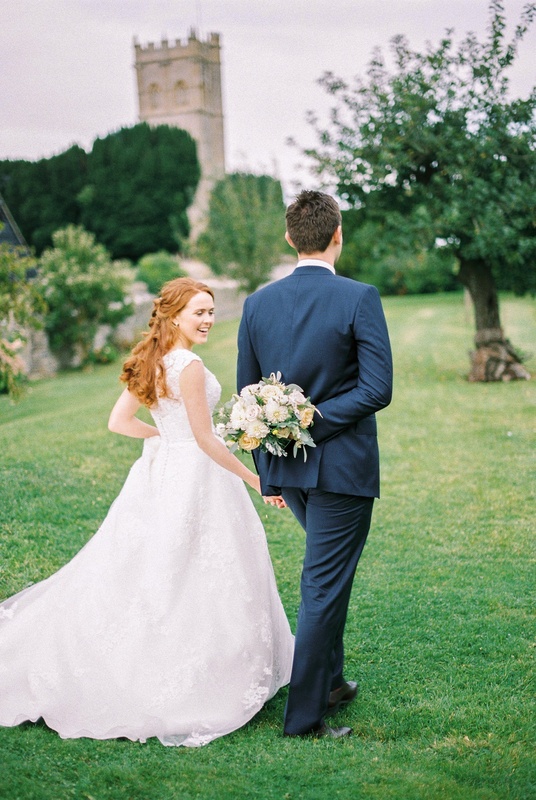 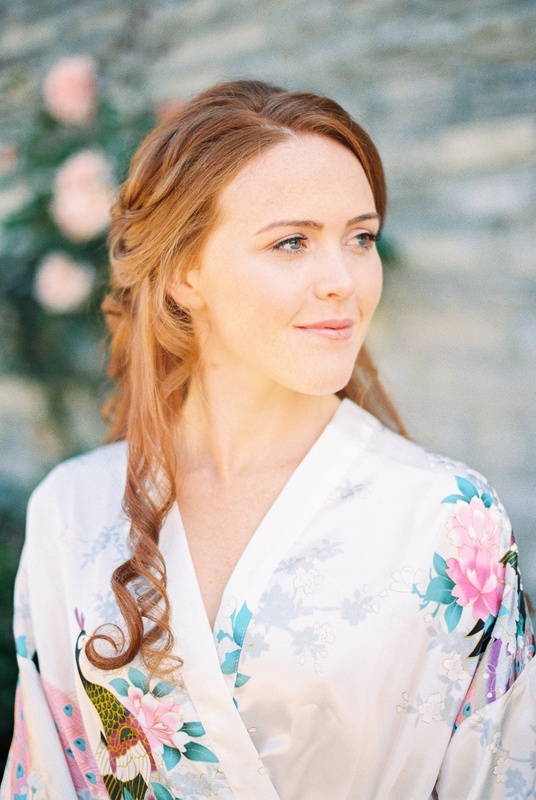 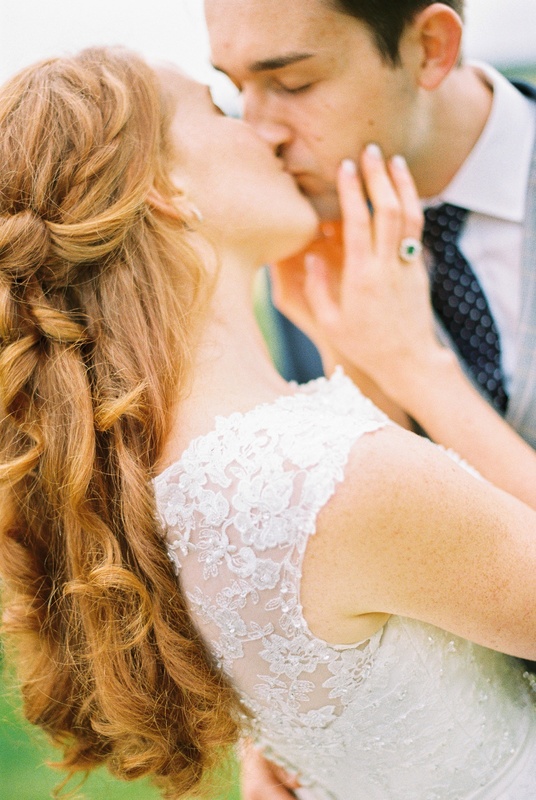 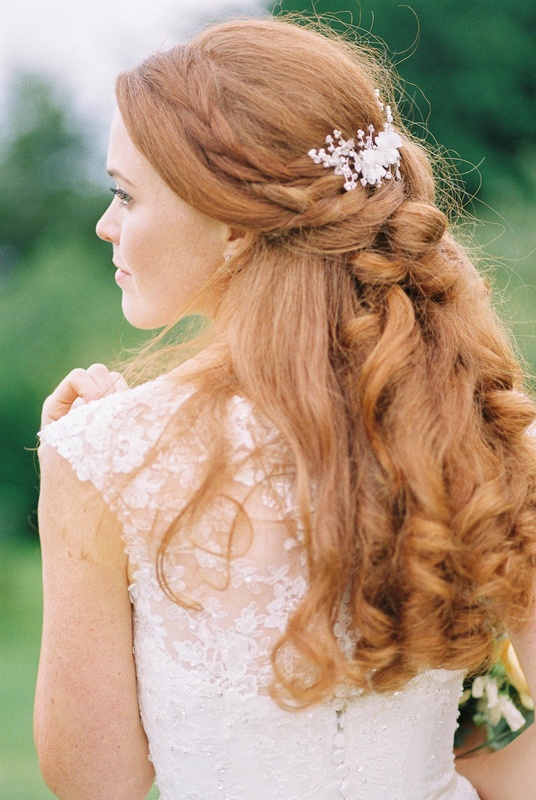 We loved Ashleigh’s elegant bridal look with a beautiful Ronald Joyce wedding gown and her stunning red hair styled half up and half down with tumbling curls! 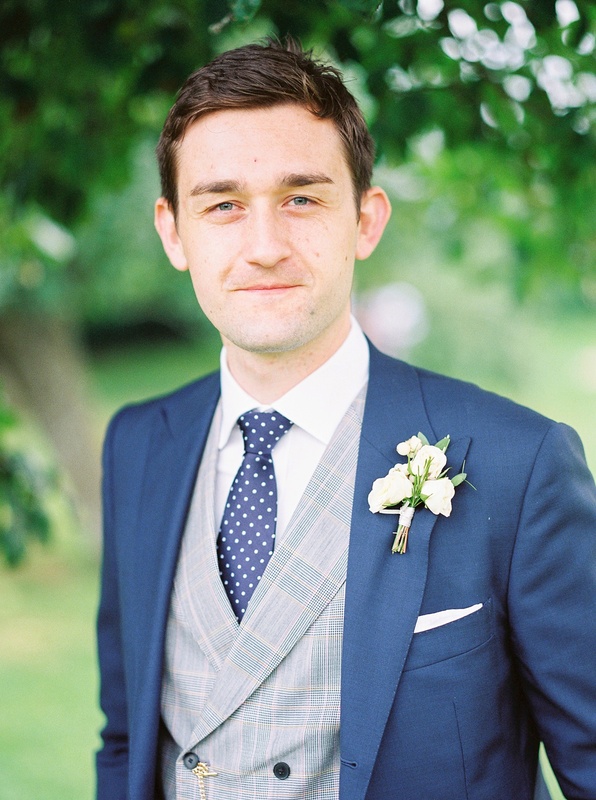 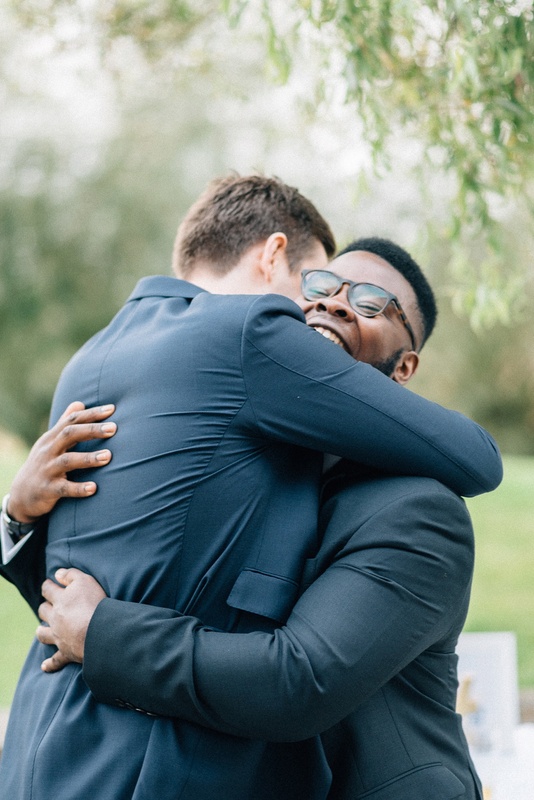 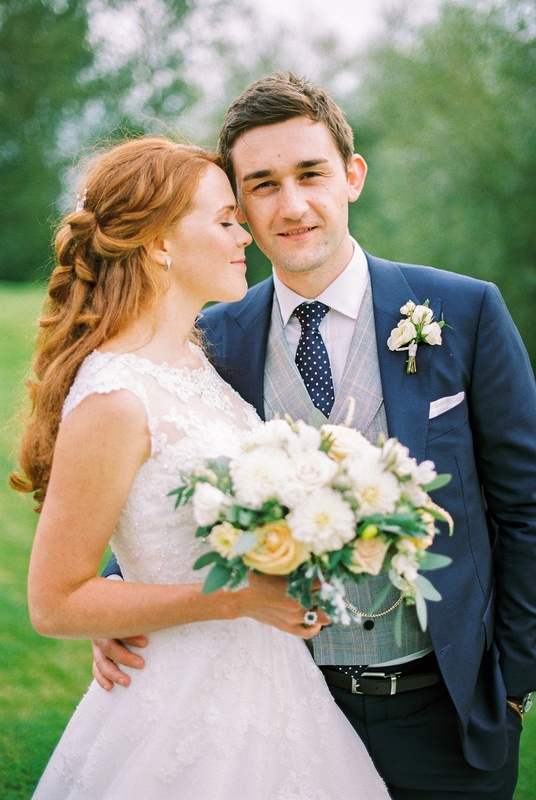 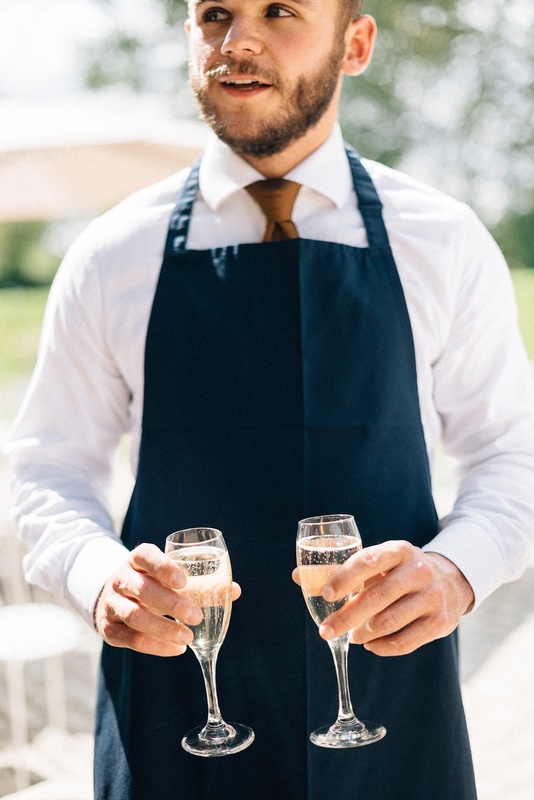 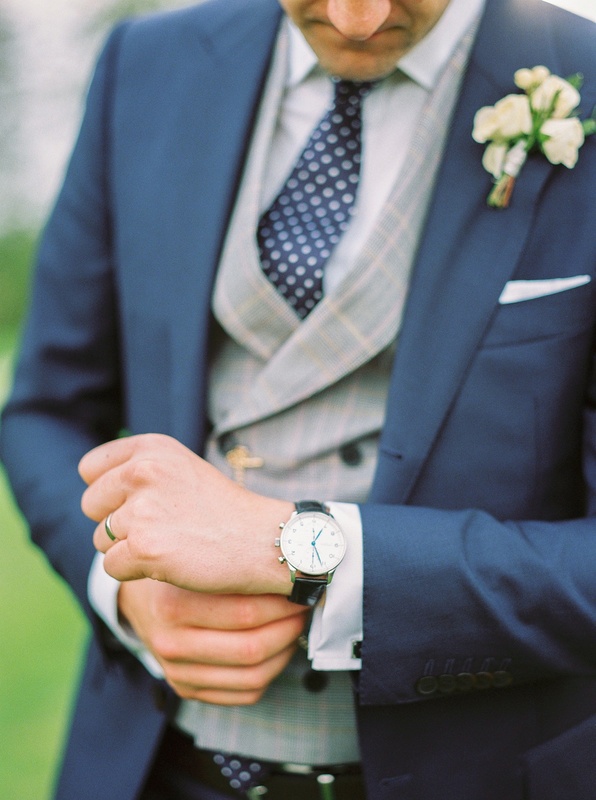 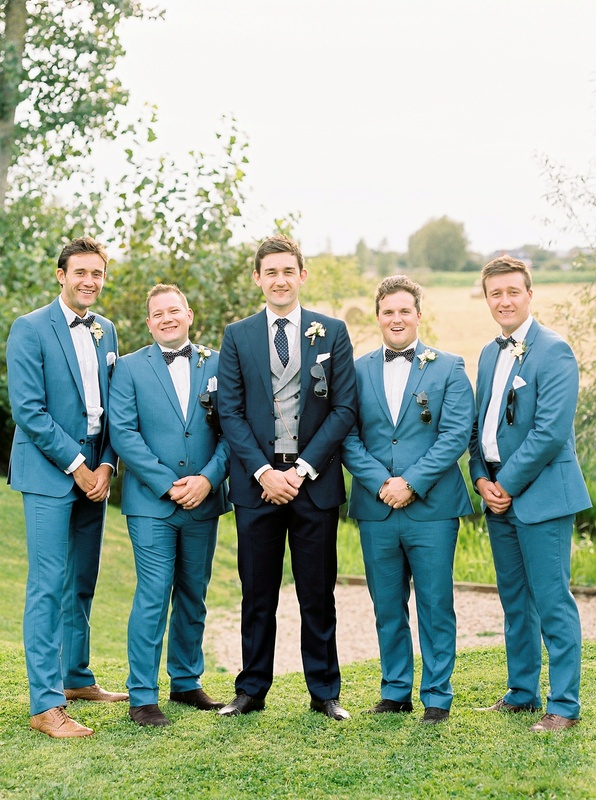 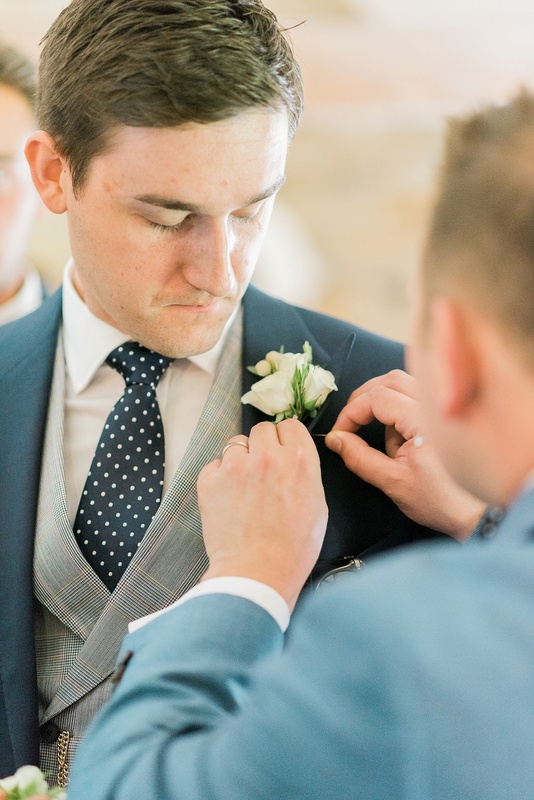 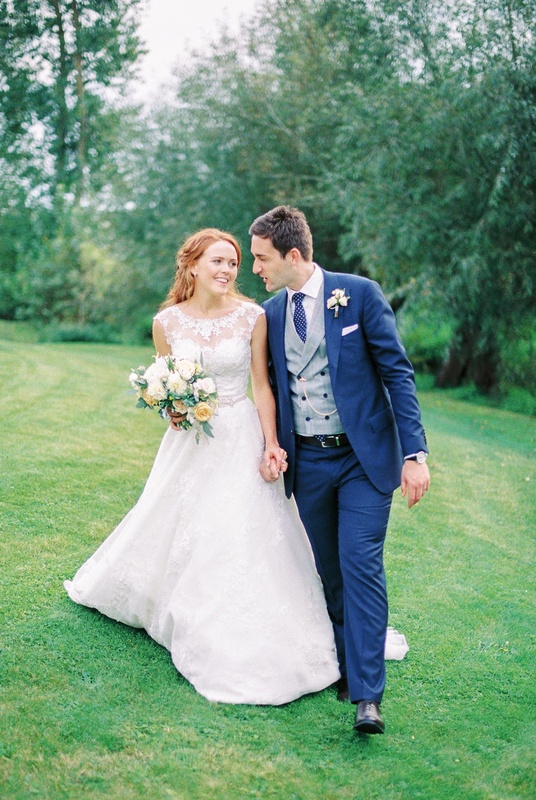 Ben’s Grooms style is rather dapper with a classic navy suit with a fashionable double breast waistcoat in a grey check, a modern contrast and looks great! 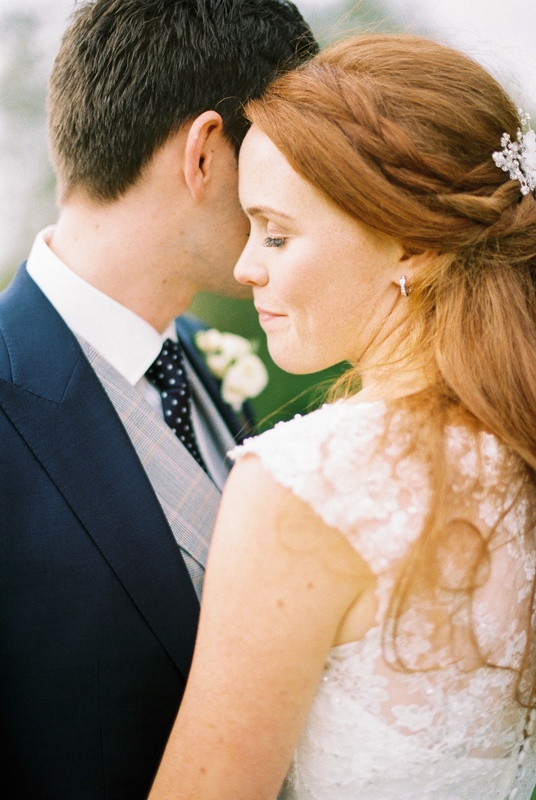 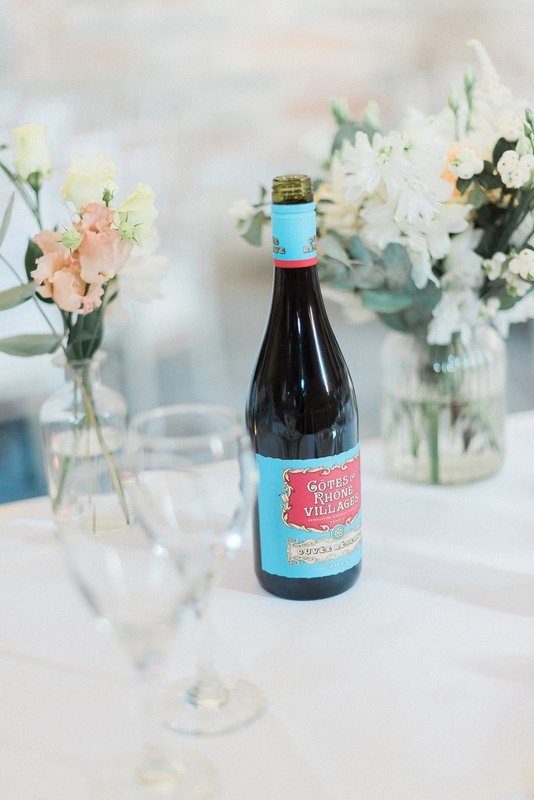 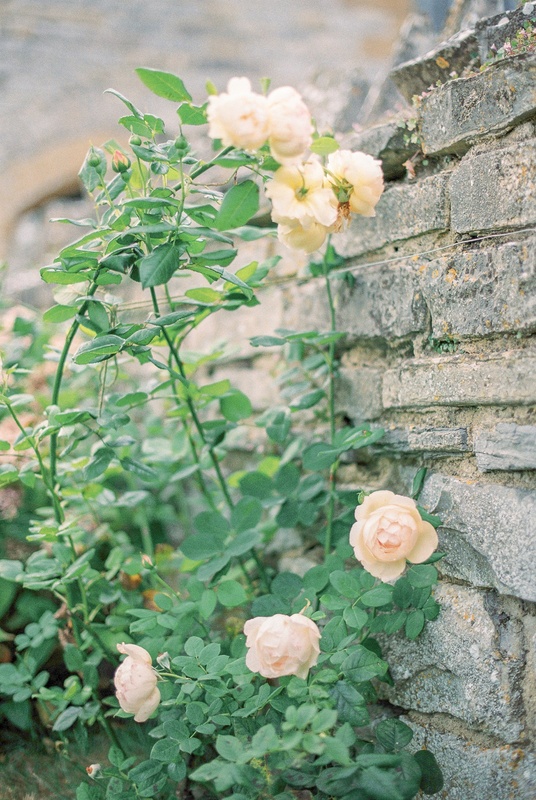 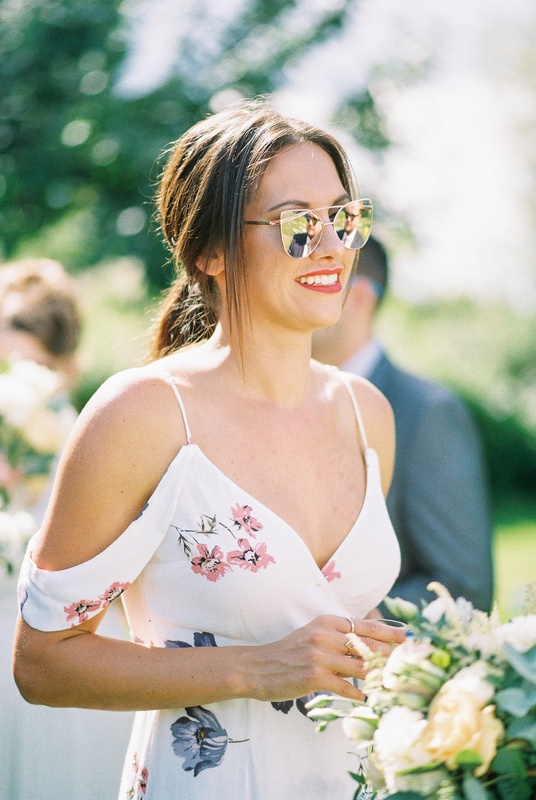 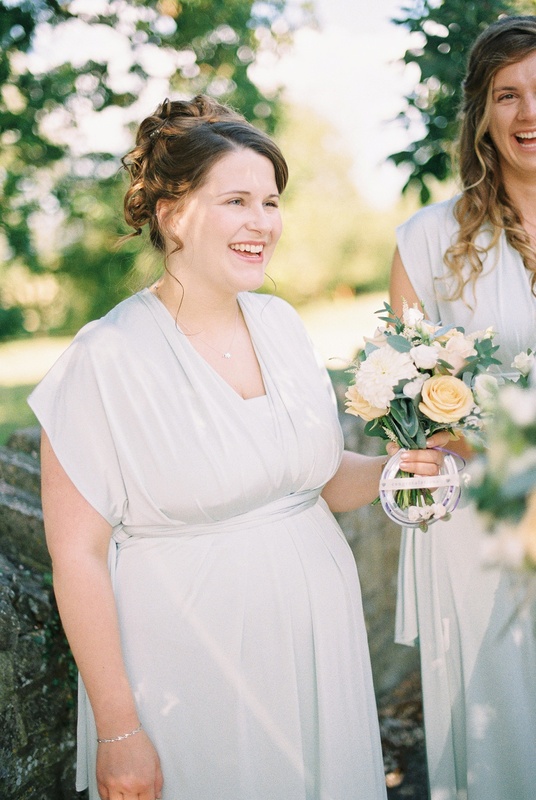 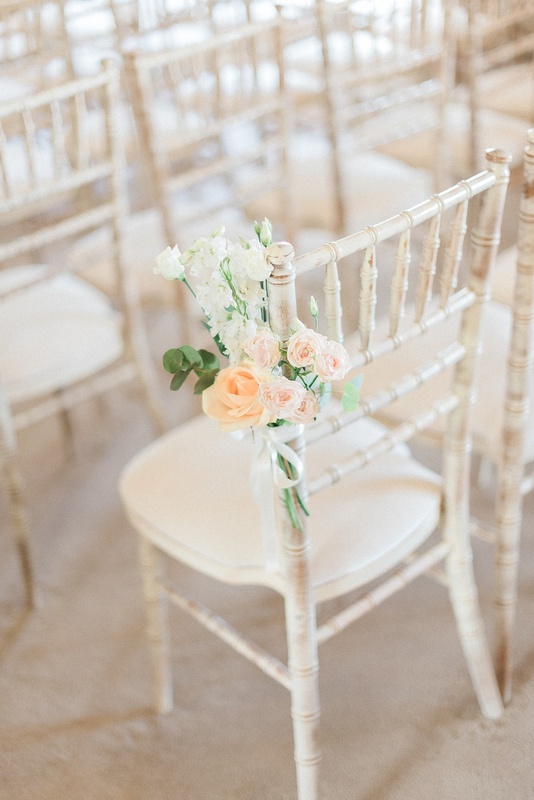 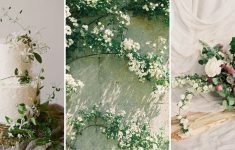 Film Photographer Victoria JK Lamburn captured the day in her fine art style, picking out the perfect little details to set the scene and capture the story of the day as well as the natural moments as they unfold. 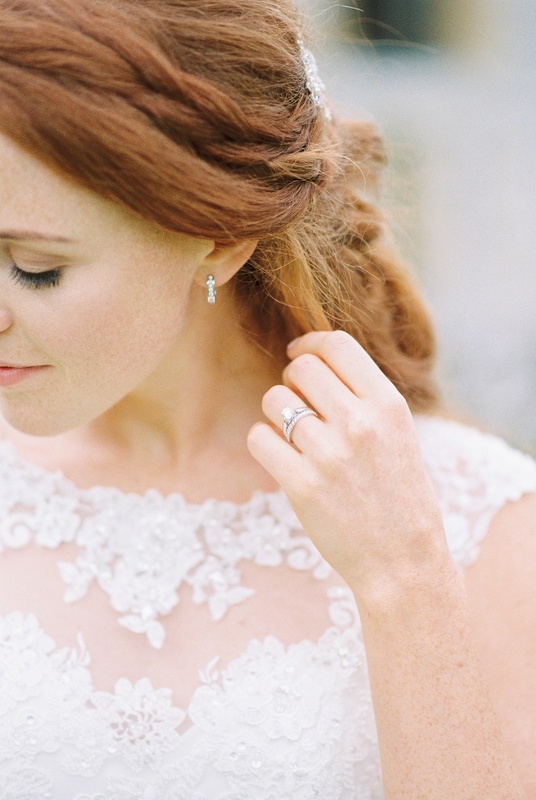 I love Victoria’s portraits of Ashleigh + Ben in the pretty gardens, with a wonderfully light, romantic, and dreamy look. 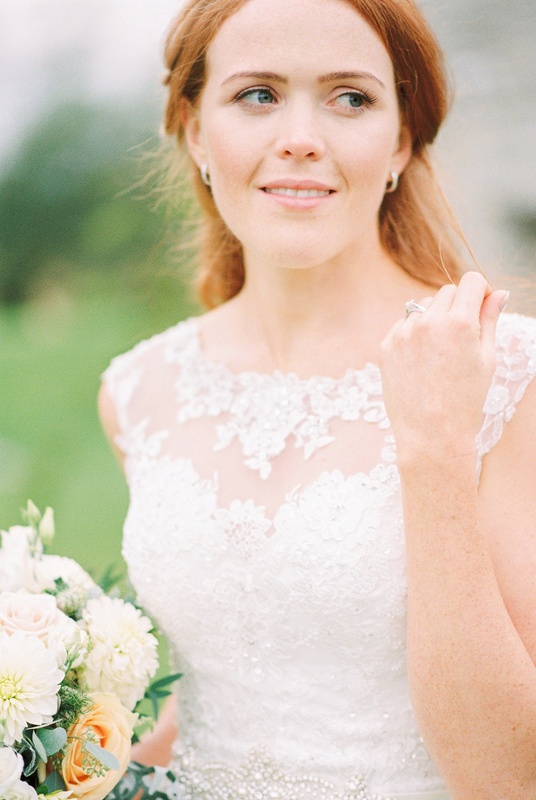 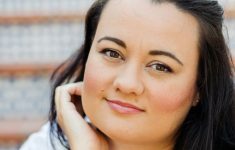 Here she is to tell us more about the day too. 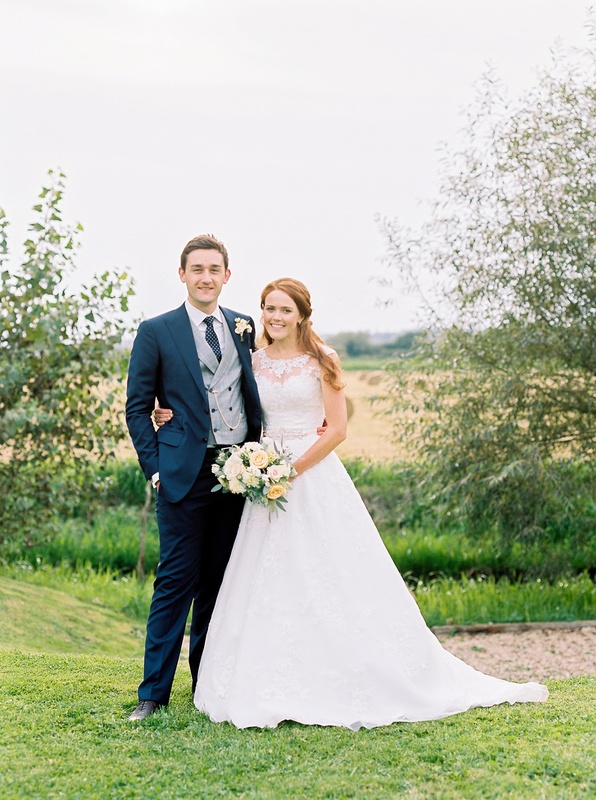 “Ashleigh and Ben’s wedding was the perfect wedding for me as a photographer and one I had been excited about ever since they booked. 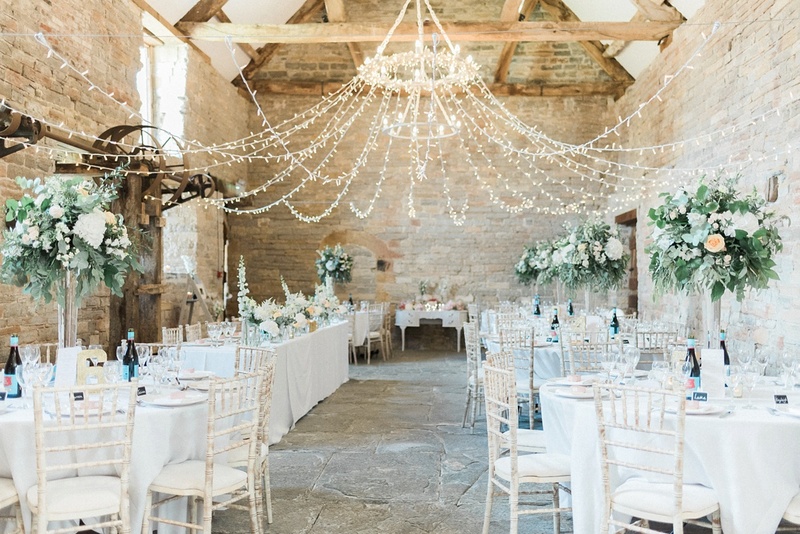 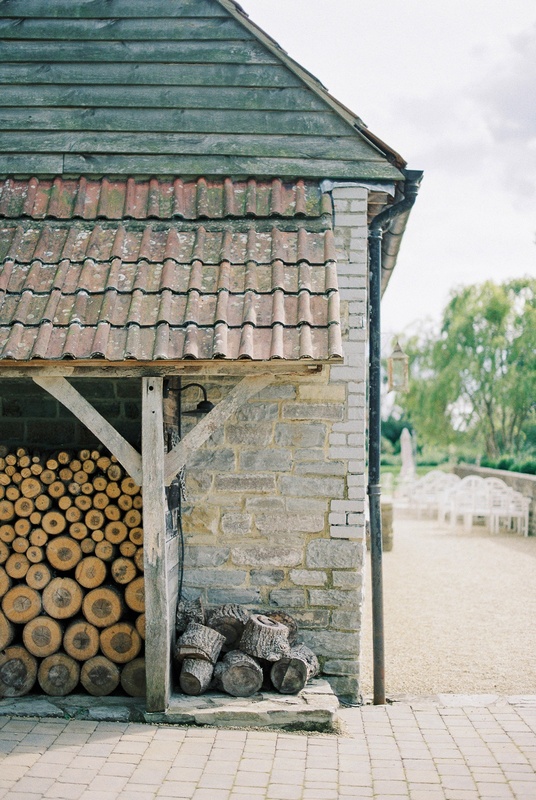 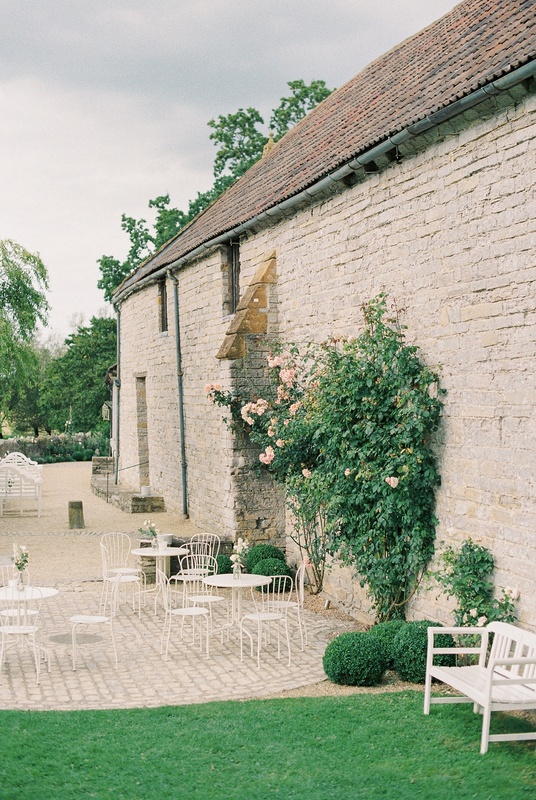 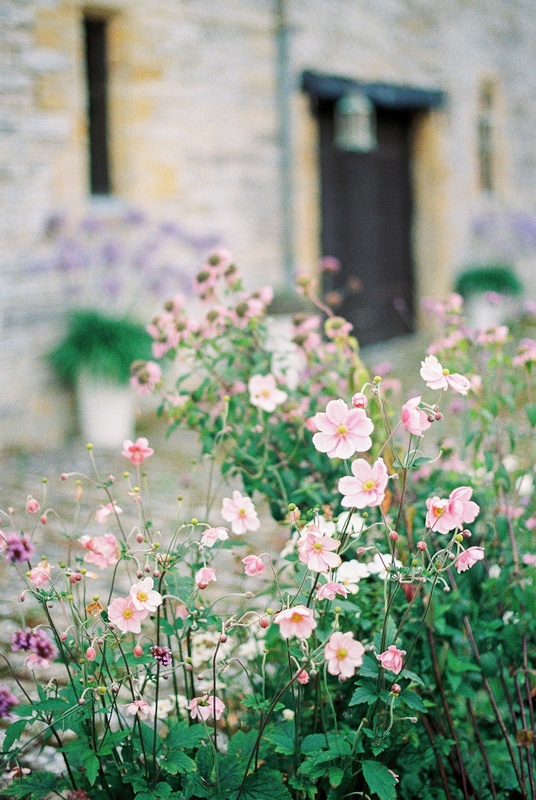 The Almonry Barn is one of the UK’s most truly beautiful venues in an idyllic quiet location in the countryside. 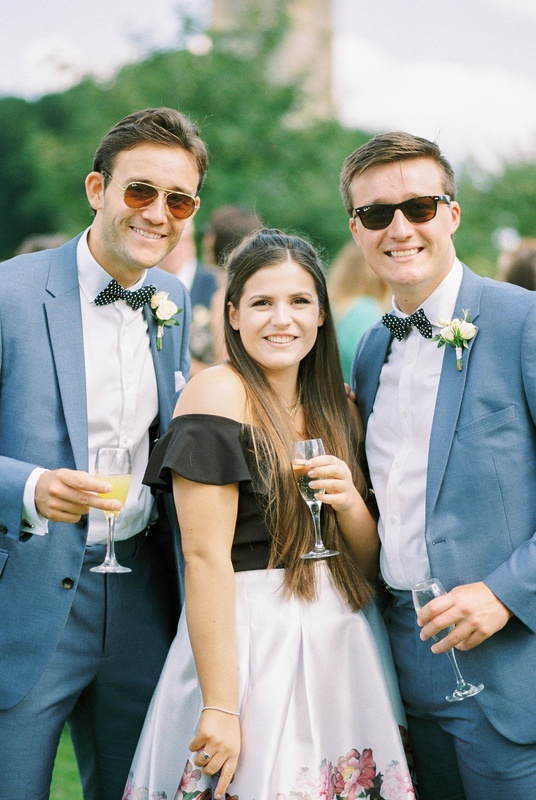 Ashleigh & Ben were two of the most lovely people to spend time with, full of passion and love, and a super relaxed feel to the day from everyone present.